The Hebrew or Jewish calendar (הַלּוּחַ הָעִבְרִי‎, Ha-Luah ha-Ivri) is a lunisolar calendar used today predominantly for Jewish religious observances. It determines the dates for Jewish holidays and the appropriate public reading of Torah portions, yahrzeits (dates to commemorate the death of a relative), and daily Psalm readings, among many ceremonial uses. In Israel, it is used for religious purposes, provides a time frame for agriculture and is an official calendar for civil purposes, although the latter usage has been steadily declining in favor of the Gregorian calendar. The present Hebrew calendar is the product of evolution, including a Babylonian influence. Until the Tannaitic period (approximately 10–220 CE), the calendar employed a new crescent moon, with an additional month normally added every two or three years to correct for the difference between twelve lunar months and the solar year. When to add it was based on observation of natural agriculture-related events in Israel. Through the Amoraic period (200–500 CE) and into the Geonic period, this system was gradually displaced by the mathematical rules used today. The principles and rules were fully codified by Maimonides in the Mishneh Torah in the 12th century. Maimonides' work also replaced counting "years since the destruction of the Temple" with the modern creation-era Anno Mundi. The Hebrew lunar year is about eleven days shorter than the solar year and uses the 19-year Metonic cycle to bring it into line with the solar year, with the addition of an intercalary month every two or three years, for a total of seven times per 19 years. Even with this intercalation, the average Hebrew calendar year is longer by about 6 minutes and 40 seconds than the current mean tropical year, so that every 216 years the Hebrew calendar will fall a day behind the current mean tropical year; and about every 231 years it will fall a day behind the mean Gregorian calendar year. The era used since the Middle Ages is the Anno Mundi epoch (Latin for "in the year of the world"; Hebrew: לבריאת העולם‎, "from the creation of the world"). As with Anno Domini (A.D. or AD), the words or abbreviation for Anno Mundi (A.M. or AM) for the era should properly precede the date rather than follow it. AM 5777 began at sunset on 2 October 2016 and will end at sunset on 20 September 2017. The Jewish day is of no fixed length. The Jewish day is modeled on the reference to "...there was evening and there was morning..." in the creation account in the first chapter of Genesis. Based on the classic rabbinic interpretation of this text, a day in the rabbinic Hebrew calendar runs from sunset (start of "the evening") to the next sunset. (In most populated parts of the world this is always approximately 24 standard hours; but, depending on the season of the year, it can be slightly less or slightly more.) The time between sunset and the time when three stars are visible (known as 'tzait ha'kochavim') is known as 'bein hashmashot' and for some uses it is debated as what day it is. In Judaism, an hour is defined as 1/12 of the time from sunrise to sunset, so, during the winter, an hour can be much less than 60 minutes, and during the summer, it can be much more than 60 minutes. This proportional hour is known as a 'sha'ah z'manit' (lit. a timely hour). While calculations of days, months and years are based on fixed hours equal to 1/24 of a day, the beginning of each halachic day is based on the local time of sunset. The end of the Shabbat and other Jewish holidays is based on nightfall (Tzeth haKochabim) which occurs some amount of time, typically 42 to 72 minutes, after sunset. According to Maimonides, nightfall occurs when three medium-sized stars become visible after sunset. By the 17th century, this had become three second-magnitude stars. The modern definition is when the center of the sun is 7° below the geometric (airless) horizon, somewhat later than civil twilight at 6°. The beginning of the daytime portion of each day is determined both by dawn and sunrise. Most halachic times are based on some combination of these four times and vary from day to day throughout the year and also vary significantly depending on location. The daytime hours are often divided into Sha`oth Zemaniyoth or "Halachic hours" by taking the time between sunrise and sunset or between dawn and nightfall and dividing it into 12 equal hours. The nighttime hours are similarly divided into 12 equal portions, albeit a different amount of time than the "hours" of the daytime. The earliest and latest times for Jewish services, the latest time to eat chametz on the day before Passover and many other rules are based on Sha`oth Zemaniyoth. For convenience, the modern day using Sha`oth Zemaniyoth is often discussed as if sunset were at 6:00pm, sunrise at 6:00am and each hour were equal to a fixed hour. For example, halachic noon may be after 1:00pm in some areas during daylight saving time. Within the Mishnah, however, the numbering of the hours starts with the "first" hour after the start of the day. The names of the days of the week are modeled on the seven days mentioned in the creation story. For example, Genesis 1:5 "... And there was evening and there was morning, one day". 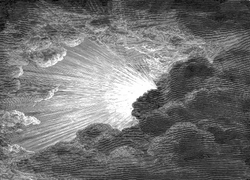 One day (יוֹם אֶחָד‎) in Genesis 1:15 is translated in JPS as first day, and in some other contexts (including KJV) as day one. In subsequent verses, the Hebrew refers to the days using ordinal numbers, e.g., 'second day', 'third day', and so forth, but with the sixth and seventh days the Hebrew includes the definite article ("the"). 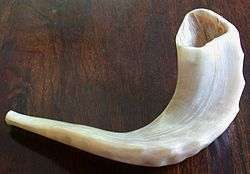 The Jewish Shabbat has a special role in the Jewish weekly cycle. There are many special rules that relate to the Shabbat, discussed more fully in the Talmudic tractate Shabbat. In (Talmudic) Hebrew, the word Shabbat (שַׁבָּת‎) can also mean "week", so that in ritual liturgy a phrase like "Yom Reviʻi bəShabbat" means "the fourth day in the week". There are additional rules in the Hebrew calendar to prevent certain holidays from falling on certain days of the week. (See Rosh Hashanah postponement rules, below.) These rules are implemented by adding an extra day to Marcheshvan (making it 30 days long) or by removing one day from Kislev (making it 29 days long). Accordingly, a common Hebrew calendar year can have a length of 353, 354 or 355 days, while a leap Hebrew calendar year can have a length of 383, 384 or 385 days. Num 10:10 stresses the importance in Israelite religious observance of the new month (Hebrew: ראש חודש‎, Rosh Chodesh, "beginning of the month"): "... in your new moons, ye shall blow with the trumpets over your burnt-offerings..." Similarly in Num 28:11. "The beginning of the month" meant the appearance of a new moon, and in Exod 12:2. "This month is to you"
In a regular (kesidran) year, Marcheshvan has 29 days and Kislev has 30 days. However, because of the Rosh Hashanah postponement rules (see below) Kislev may lose a day to have 29 days, and the year is called a short (chaser) year, or Marcheshvan may acquire an additional day to have 30 days, and the year is called a full (maleh) year. The calendar rules have been designed to ensure that Rosh Hashanah does not fall on a Sunday, Wednesday or Friday. This is to ensure that Yom Kippur does not directly precede or follow Shabbat, which would create practical difficulties, and that Hoshana Rabbah is not on a Shabbat, in which case certain ceremonies would be lost for a year. Hebrew names and romanized transliteration may somewhat differ, as they do for Marcheshvan/Cheshvan (חשוון‎) or Kislev (כסלו‎): the Hebrew words shown here are those commonly indicated, for example, in newspapers. 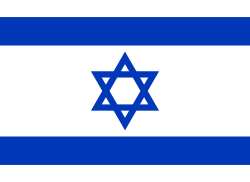 12L* אֲדָר א׳ ‎ Adar I* 30 days *Only in Leap years. Some scholars identified the 12 signs of the zodiac with the 12 sons of Jacob/twelve tribes of Israel. It should be noted that the 12 lunar months of the Hebrew calendar are the normal months from new moon to new: the year normally contains twelve months averaging 29.52 days each. The discrepancy compared to the mean synodic month of 29.53 days is due to Adar I in a leap year always having thirty days. This means that the calendar year normally contains 354 days. In Hebrew there are two common ways of writing the year number: with the thousands, called לפרט גדול‎ ("major era"), and without the thousands, called לפרט קטן‎ ("minor era"). In 1178 CE, Maimonides wrote in the Mishneh Torah, Sanctification of the Moon (11.16), that he had chosen the epoch from which calculations of all dates should be as "the third day of Nisan in this present year ... which is the year 4938 of the creation of the world" (March 22, 1178 CE). He included all the rules for the calculated calendar and their scriptural basis, including the modern epochal year in his work, and beginning formal usage of the anno mundi era. From the eleventh century, anno mundi dating became dominant throughout most of the world's Jewish communities. Today, the rules detailed in Maimonides' calendrical code are those generally used by Jewish communities throughout the world. Since the codification by Maimonides in 1178 CE, the Jewish calendar has used the Anno Mundi epoch (Latin for “in the year of the world,” abbreviated AM or A.M.; Hebrew לבריאת העולם‎), sometimes referred to as the “Hebrew era”, to distinguish it from other systems based on some computation of creation, such as the Byzantine calendar. For the dates of the Jewish New Year see Jewish and Israeli holidays 2000–2050 or calculate using the section "Conversion between Jewish and civil calendars". The Jewish calendar is based on the Metonic cycle of 19 years, of which 12 are common (non-leap) years of 12 months and 7 are leap years of 13 months. To determine whether a Jewish year is a leap year, one must find its position in the 19-year Metonic cycle. This position is calculated by dividing the Jewish year number by 19 and finding the remainder. For example, the Jewish year 5777 divided by 19 results in a remainder of 1, indicating that it is year 1 of the Metonic cycle. Since there is no year 0, a remainder of 0 indicates that the year is year 19 of the cycle. Years 3, 6, 8, 11, 14, 17, and 19 of the Metonic cycle are leap years. To assist in remembering this sequence, some people use the mnemonic Hebrew word GUCHADZaT "גוחאדז"ט"‎, where the Hebrew letters gimel-vav-het aleph-dalet-zayin-tet are used as Hebrew numerals equivalent to 3, 6, 8, 1, 4, 7, 9. The keviyah records whether the year is leap or common: פ for peshuta (פשוטה), meaning simple and indicating a common year, and מ indicating a leap year (me'uberet, מעוברת). A simple rule for determining whether a year is a leap year has been given above. However, there is another rule which not only tells whether the year is leap but also gives the fraction of a month by which the calendar is behind the seasons, useful for agricultural purposes. To determine whether year n of the calendar is a leap year, find the remainder on dividing [(7 × n) + 1] by 19. If the remainder is 6 or less it is a leap year; if it is 7 or more it is not. For example, the remainder on dividing [(7 × 5777) + 1] by 19 is 8, so the year 5777 is not a leap year. The remainder on dividing [(7 × 5778) + 1] by 19 is 15, so the year 5778 is not a leap year. This works because as there are seven leap years in nineteen years the difference between the solar and lunar years increases by 7/19 month per year. When the difference goes above 18/19 month this signifies a leap year, and the difference is reduced by one month. To calculate the day on which Rosh Hashanah of a given year will fall, it is necessary first to calculate the expected molad (moment of lunar conjunction or new moon) of Tishrei in that year, and then to apply a set of rules to determine whether the first day of the year must be postponed. The molad can be calculated by multiplying the number of months that will have elapsed since some (preceding) molad whose weekday is known by the mean length of a (synodic) lunar month, which is 29 days, 12 hours, and 793 parts (there are 1080 "parts" in an hour, so that one part is equal to 3 1⁄3 seconds). The very first molad, the molad tohu, fell on Sunday evening at 11.11 1⁄3, or in Jewish terms Day 2, 5 hours, and 204 parts. To prevent Yom Kippur (10 Tishrei) from falling on a Friday or Sunday, Rosh Hashanah (1 Tishrei) cannot fall on Wednesday or Friday. Likewise, to prevent Hoshana Rabbah (21 Tishrei) from falling on a Saturday, Rosh Hashanah cannot fall on a Sunday. This leaves only four days on which Rosh Hashanah can fall: Monday, Tuesday, Thursday, and Saturday, which are referred to as the "four gates". Each day is associated with a number (its order in the week, beginning with Sunday as day 1). Numbers in Hebrew have been traditionally denominated by Hebrew letters. Thus the keviyah uses the letters ה ,ג ,ב and ז (representing 2, 3, 5, and 7, for Monday, Tuesday, Thursday, and Saturday) to denote the starting day of the year. A "new moon" (astronomically called a lunar conjunction and, in Hebrew, a molad) is the moment at which the sun and moon are aligned horizontally with respect to a north-south line (technically, they have the same ecliptical longitude). The period between two new moons is a synodic month. The actual length of a synodic month varies from about 29 days 6 hours and 30 minutes (29.27 days) to about 29 days and 20 hours (29.83 days), a variation range of about 13 hours and 30 minutes. Accordingly, for convenience, a long-term average length, identical to the mean synodic month of ancient times (also called the molad interval) is used. The molad interval is days, or 29 days, 12 hours, and 793 parts (44 1/18 minutes) (i.e., 29.530594 days), and is the same value determined by the Babylonians in their System B about 300 BCE and was adopted by the Greek astronomer Hipparchus in the 2nd century BCE and by the Alexandrian astronomer Ptolemy in the Almagest four centuries later (who cited Hipparchus as his source). Its remarkable accuracy (less than one second from the true value) is thought to have been achieved using records of lunar eclipses from the 8th to 5th centuries BCE. No equinox or solstice will ever be more than a day or so away from its mean date according to the solar calendar, while nineteen Jewish years average 6939d 16h 33m 03 1⁄3s compared to the 6939d 14h 26m 15s of nineteen mean tropical years. This discrepancy has mounted up to six days, which is why the earliest Passover currently falls on 26 March (as in AM 5773 / 2013 CE). Given the length of the year, the length of each month is fixed as described above, so the real problem in determining the calendar for a year is determining the number of days in the year. In the modern calendar, this is determined in the following manner. Secondly, one must determine the number of days between the starting Tishrei molad (TM1) and the Tishrei molad of the next year (TM2). For calendar descriptions in general the day begins at 6 p.m., but for the purpose of determining Rosh Hashanah, a molad occurring on or after noon is treated as belonging to the next day (the first deḥiyyah). All months are calculated as 29d, 12h, 44m, 3 1⁄3s long (MonLen). Therefore, in an ordinary year TM2 occurs 12 × MonLen days after TM1. This is usually 354 calendar days after TM1, but if TM1 is on or after 3:11:20 a.m. and before noon, it will be 355 days. Similarly, in a leap year, TM2 occurs 13 × MonLen days after TM1. This is usually 384 days after TM1, but if TM1 is on or after noon and before 2:27:16 2⁄3 p.m., TM2 will be only 383 days after TM1. In the same way, from TM2 one calculates TM3. Thus the four natural year lengths are 354, 355, 383, and 384 days. However, because of the holiday rules, Rosh Hashanah cannot fall on a Sunday, Wednesday, or Friday, so if TM2 is one of those days, Rosh Hashanah in year 2 is postponed by adding one day to year 1 (the second deḥiyyah). To compensate, one day is subtracted from year 2. It is to allow for these adjustments that the system allows 385-day years (long leap) and 353-day years (short ordinary) besides the four natural year lengths. On the other hand, if year 2 is already a short year of 383 days, there will be a problem if TM2 is on a Wednesday. because Rosh Hashanah in year 2 will have to be postponed from Wednesday to Thursday and this will cause year 2 to be only 382 days long. In this case, year 2 is extended by one day by postponing Rosh Hashanah in year 3 from Monday to Tuesday (the fourth deḥiyyah ), and year 2 will have 383 days. Dr. Irv Bromberg has proposed a 353-year cycle of 4366 months, which would include 130 leap months, along with use of a progressively shorter molad interval, which would keep an amended fixed arithmetic Hebrew calendar from drifting for more than seven millennia. It takes about 3 1⁄2 centuries for the spring equinox to drift an average of 1⁄19th of a molad interval earlier in the Hebrew calendar. That is a very important time unit, because it can be cancelled by simply truncating a 19-year cycle to 11 years, omitting 8 years including three leap years from the sequence. That is the essential feature of the 353-year leap cycle ((9 × 19) + 11 + (9 × 19) = 353 years). Up to the 4th century CE, these tables give the day of the Jewish month to within a day or so and the number of the month to within a month or so. From the 4th century, the number of the month is given exactly and from the 9th century the day of the month is given exactly as well. 20874=2026+(248x76). In (248x76) Julian years the Jewish year is due to start (248x3d 18h 12 4/18m) later in the week, which is 932d 2h 31 2/18m or 1d 2h 31 2/18m later after removing complete weeks. Allowing for the current difference of thirteen days between the civil and Julian calendars, the Julian date is 13+(248x0d 5h 47 4/18m) earlier, which is 72d 21h 28 16/18m earlier. Convert back to the civil calendar by applying the formula. So, in 20874 CE, the Jewish year is due to begin 87d 2h 31 2/18m later than in 2026 CE and 1d 2h 31 2/18m later in the week. In 20874 CE, therefore, the Jewish year is due to begin at 11.30 3/18 A.M. on Friday, 14 June. Because of the displacements, it actually begins on Saturday, 15 June. Odd months have 30 days and even months 29, so the starting dates are 2, 15 July; 3, 13 August; 4, 12 September; 5, 11 October; 6, 10 November; 7, 9 December, and 8, 8 January. The rules are based on the theory that Maimonides explains in his book "Rabbinical Astronomy" - no allowance is made for the secular (centennial) decrease of ½ second in the length of the mean tropical year and the increase of about four yards in the distance between the earth and the moon resulting from tidal friction because astronomy was not sufficiently developed in the 12th century (when Maimonides wrote his book) to detect this. ↑ "Tishrei, 5777". Chabad.org. Retrieved September 13, 2015. ↑ Under the fixed, calculated calendar, this is only loosely true. Because the calculations are based on mean lunar months, not observed ones–and because of the Rosh Hashanah postponement rules—a given month may not begin on the same day as its astronomical conjunction. See Bromberg, Dr. Irv (August 5, 2010). "Moon and the Molad of the Hebrew Calendar". utoronto.ca. Retrieved December 16, 2012. 1 2 Tosefta Sanhedrin 2.2, Herbert Danby, Trans., Tractate Sanhedrin Mishnah and Tosefta, Society for Promoting Christian Knowledge, London and New York, 1919, p. 31. Also quoted in Sacha Stern, Calendar and Community: A History of the Jewish Calendar Second Century BCE-Tenth Century CE, Oxford University Press, 2001, p. 70. 1 2 b. Rosh Hashanah 20b: "This is what Abba the father of R. Simlai meant: 'We calculate the new moon's birth. If it is born before midday, then certainly it will have been seen shortly before sunset. If it was not born before midday, certainly it will not have been seen shortly before sunset.' What is the practical value of this remark? R. Ashi said: Confuting the witnesses." I. Epstein, Ed., The Babylonian Talmud Seder Mo'ed, Soncino Press, London, 1938, p. 85. ↑ Hachlili, Rachel (2013). Ancient Synagogues – Archaeology and Art: New Discoveries and Current Research. Brill. p. 342. ISBN 978-9004257733. ↑ Ulfgard, Håkan (1998). The Story of Sukkot : the Setting, Shaping and Sequel of the Biblical Feast of Tabernacles. 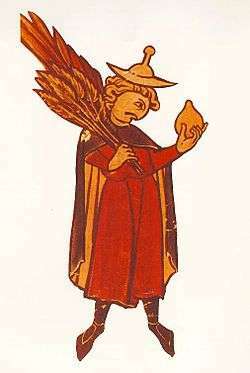 Mohr Siebeck. p. 99. ISBN 3-16-147017-6. 1 2 3 Chronology of the Old Testament, Dr. Floyd Nolen Jones "When the center of Jewish life moved from Babylonia to Europe during the 8th and 9th centuries CE, calculations from the Seleucid era became meaningless. Over those centuries, it was replaced by that of the anno mundi era of the Seder Olam. From the 11th century, anno mundi dating became dominant throughout most of the world's Jewish communities." ↑ Alden A. Mosshammer. The Easter Computus and the Origins of the Christian Era. 1 2 See The Remaining Signs of Past Centuries. 1 2 Avodah Zarah, tractate 9 Footnote: "The Eras in use among Jews in Talmudic Times are: (a) ERA OF CONTRACTS [H] dating from the year 380 before the Destruction of the Second Temple (312–1 BCE) when, at the Battle of Gaza, Seleucus Nicator, one of the followers of Alexander the Great, gained dominion over Palestine. It is also termed Seleucid or Greek Era [H]. Its designation as Alexandrian Era connecting it with Alexander the Great (Maim. Yad, Gerushin 1, 27) is an anachronism, since Alexander died in 323 BCE—eleven years before this Era began (v. E. Mahler, Handbuch der judischen Chronologie, p. 145). This Era, which is first mentioned in Mac. I, 10, and was used by notaries or scribes for dating all civil contracts, was generally in vogue in eastern countries till the 16th cent, and was employed even in the 19th cent, among the Jews of Yemen, in South Arabia (Eben Saphir, Lyck, 1866, p. 62b). (b) THE ERA OF THE DESTRUCTION (of the Second Temple) [H] the year 1 of which corresponds to 381 of the Seleucid Era, and 69–70 of the Christian Era. This Era was mainly employed by the Rabbis and was in use in Palestine for several centuries, and even in the later Middle Ages documents were dated by it. One of the recently discovered Genizah documents bears the date 13 Tammuz 987 after the Destruction of the Temple—i.e., 917 C.E. (Op. cit. p. 152, also Marmorstein ZDMG, Vol. VI, p. 640). The difference between the two Eras as far as the tens and units are concerned is thus 20. If therefore a Tanna, say in the year 156 Era of Dest. (225 CE), while remembering, naturally, the century, is uncertain about the tens and units, he should ask the notary what year it is according to his—Seleucid—era. He will get the answer 536 (156 + 380), on adding 20 to which he would get 556, the last two figures giving him the year  56 of the Era of Destruction." ↑ Scherman, Nosson (2005). Artscroll Chumash. ↑ The barley had to be "eared out" (ripe) in order to have a wave-sheaf offering of the first fruits according to the Law. Jones, Stephen (1996). Secrets of Time. ↑ "The Jewish Calendar: A Closer Look". Judaism 101. Retrieved 25 March 2011. ↑ Dershowitz, Nachum; Reingold, Edward M. (December 2007). Calendrical Calculations (Third ed.). Cambridge University Press. p. 91. ↑ R. Avraham bar Chiya ha-nasi. Sefer ha-Ibbur (part 2, chapters 9,10). ↑ Tur, O.C. (section 428). ↑ Rambam. Hilchos Kiddush ha-Chodesh (chapters 6,7,8). ↑ W. M. Feldman (1965). "Chapter 17: The Fixed Calendar". Rabbinical Mathematics and Astronomy (2nd ed.). Hermon Press. ↑ Hugo Mandelbaum (1986). "Introduction: Elements of the Calendar Calculations". In Arthur Spier. The Comprehensive Hebrew Calendar (3rd ed.). ↑ Landau, Remy. "Hebrew Calendar Science and Myth: 'The Debatable Dehiyah Molad Zaquen'". Retrieved 7 February 2015. ↑ Bushwick, Nathan (1989). Understanding the Jewish Calendar. New York/Jerusalem: Moznaim. pp. 95–97. ISBN 0-940118-17-3. ↑ Poznanski, Samuel (1910). "Calendar (Jewish)". In Hastings, James. Encyclopædia of Religion and Ethics. 3. Edinburgh: T. & T. Clark. p. 121. ↑ Resnikoff, Louis A. (1943). "Jewish Calendar Calculations". Scripta Mathematica. 9: 276. 1 2 Sacha Stern, Calendar and Community, Oxford University Press, 2001, pp. 162ff. 1 2 E.S. Kennedy, "Al-Khwarizmi on the Jewish calendar", Scripta Mathematica 27 (1964) 55–59. 1 2 "al-Khwarizmi", Dictionary of Scientific Biography, VII: 362, 365. ↑ Stern, Sacha. Calendar and Community: A History of the Jewish Calendar Second Century BCE-Tenth Century CE. Oxford, 2001. ISBN 9780198270348. ↑ David Lev (23 December 2012). "Rabbinate: New Year's Eve Parties 'Not Kosher'". Arutz Sheva. Retrieved 30 November 2013. ↑ TM2 will be between noon and 2:27:16 2⁄3 p.m. on Tuesday, and TM3 will be between 9:32:43 1⁄3 and noon on Monday. ↑ Bromberg, Irv. "The Rectified Hebrew Calendar.". Retrieved 2011-05-13. ↑ Cassidy, Simon. "Re: How long is a year..EXACTLY? East Carolina University Calendar discussion List CALNDR-L". 25 October 1996. Retrieved 7 February 2015. ↑ Feldman, W M. Rabbinical Mathematics and Astronomy:Judaic Studies Library; no. SHP 4. New York, 1978. ISBN 978-0872030268.